A vinyl window can be inexpensive, durable and remarkably energy efficient when designed properly to minimize thermal transfer. While early vinyl windows had problems with thermal expansion and stability in very hot environments, modern vinyl windows are much more durable and dimensionally stable. Look for vinyl window frames with heat-welded joints - they're stiffer than mechanically joined vinyl frames and thus provide better resistance to temperature stresses. Interior webs also strengthen the frame and improve its thermal performance. 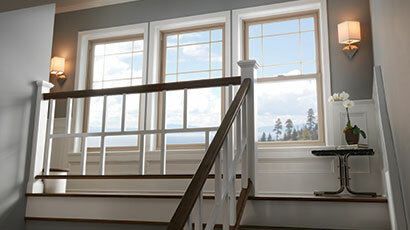 As one of the most popular types of windows, vinyl windows offer a superior level of energy efficiency and durability. 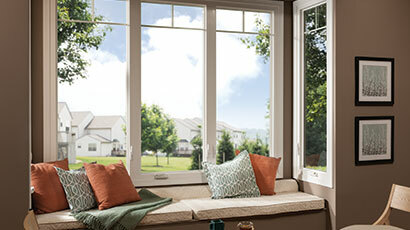 Additionally, vinyl windows are traditionally known for being virtually maintenance free, requiring only a simple cleaning to help keep them looking like new. At Lasting Impressions, we are proud to carry a huge array of incredibly high quality vinyl windows available in a variety of styles. For more information on our products and to get a project bid for your vinyl window installation, don't hesitate to get in touch with one of our highly knowledgeable and certified staff members today.